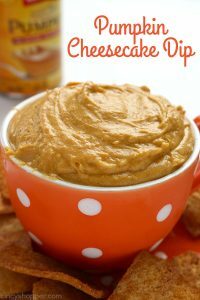 This super tasty Pumpkin Cheesecake Dip is going to be your new favorite fall appetizer. It’s perfect for an after school snack too. Great use for your leftover canned pumpkin. My kiddos are loving all the new after school snacks that I have been serving with them. Dips make for a perfect appetizer but they are also great for an afternoon snack. If your family is anything like ours, everyone is ready for something to eat before I start making dinner. I have decided that it is easier to have something ready for them all to snack on as soon as they walk through the door. Having them in the kitchen looking through the refrigerator and pantry is no fun. They just get in the way when I am trying to prepare dinner. 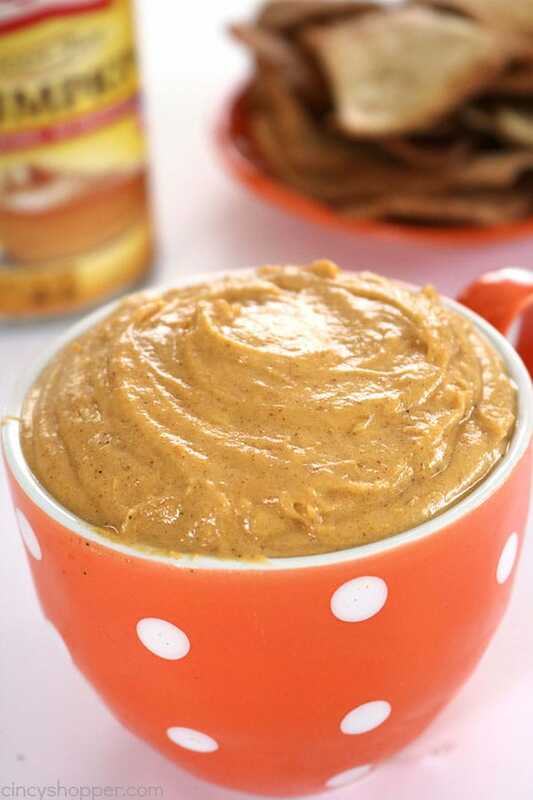 I shared the Slow Cooker Caramel Apple Dip that I made for them the other day. It was a hit with the entire family. I had it ready when they arrived. I just put it on the table with chips and they were all set with something to hold them over until dinner time. 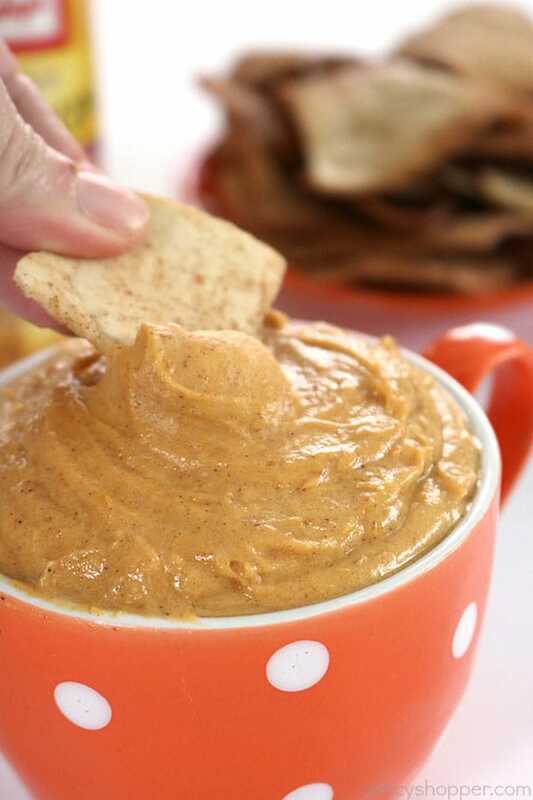 This dip was so simple to make. I made it late morning and put it in the fridge for later in the day. I did not have the time to make my Homemade Cinnamon Chips so I grabbed a bag of cinnamon pita chips at the grocery store. 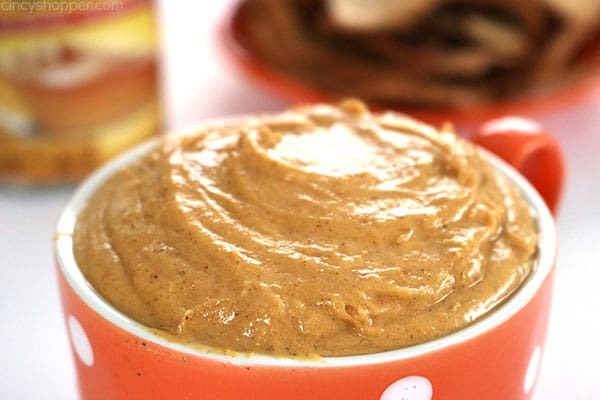 In the past, I have made our Fluffy Pumpkin Dip for our fall get-togethers. Everyone really liked it. 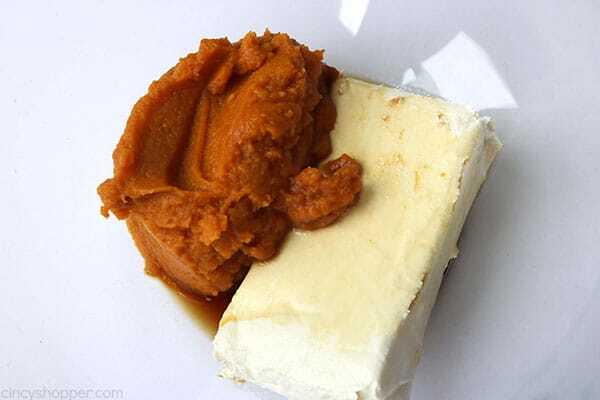 This fall, I plan to make this Pumpkin Cheesecake Dip to serve guests. I gotta switch it up a bit, right? 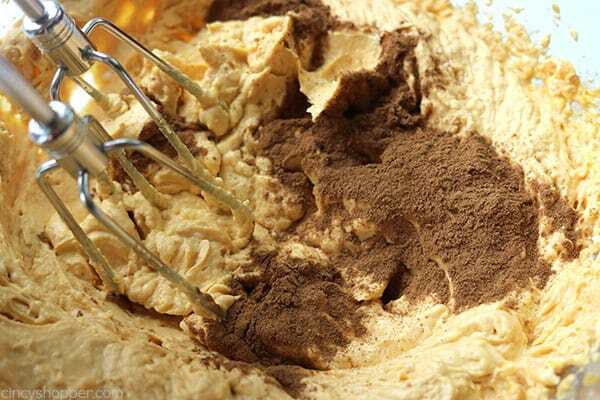 You will need just a few simple ingredients to make this deliciousness. 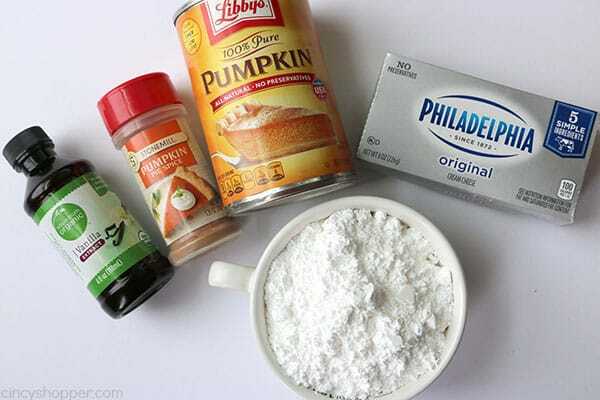 Grab some pumpkin puree, some cream cheese, pumpkin pie spice, and some powdered sugar. You will have this chilling in just a couple of minutes. Easy and no real mess. 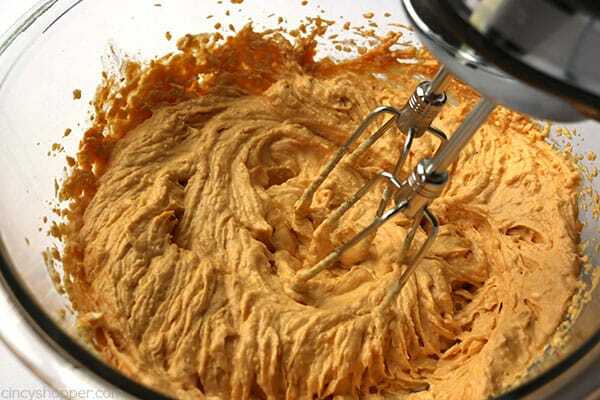 Beat together pumpkin and cram cheese in a medium bowl until blended. Add vanilla and pumpkin spice and continue beating until incorporated. 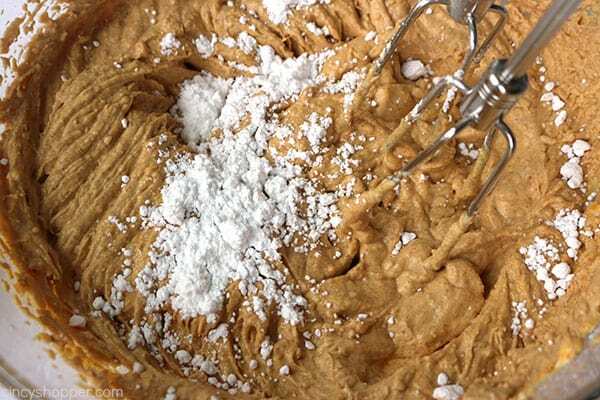 Gradually add in powdered sugar while beating. 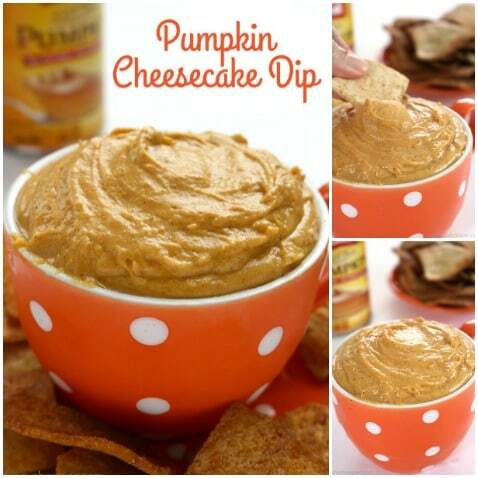 Do you have a favorite dip that you make during the fall months?